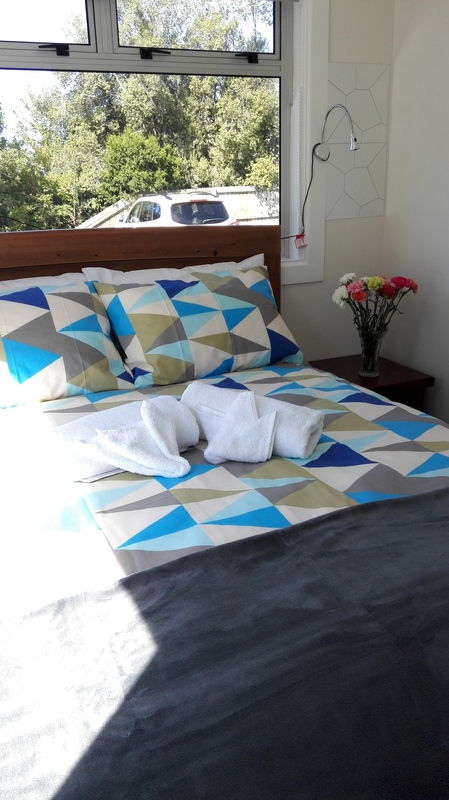 Oxford Queenette Backpackers is a small hostel with 28 beds for 31 guests for a comfortable and friendly stay. We have one double ensuite, one family room, one double room, two twin rooms, and two 10-bed dorms with beautiful solid wooden bunks. All our beds have brand new quality mattresses, as well as a bedside light and USB charging outlet for your phones and tablets. We have two 10-bed dorm rooms. 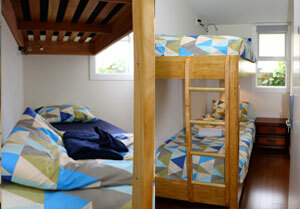 Our purpose-built wooden bunk beds are solid and sturdy. There is space to sit up in bed and read with the bedside light, and a convenient USB charging outlet beside your bed. 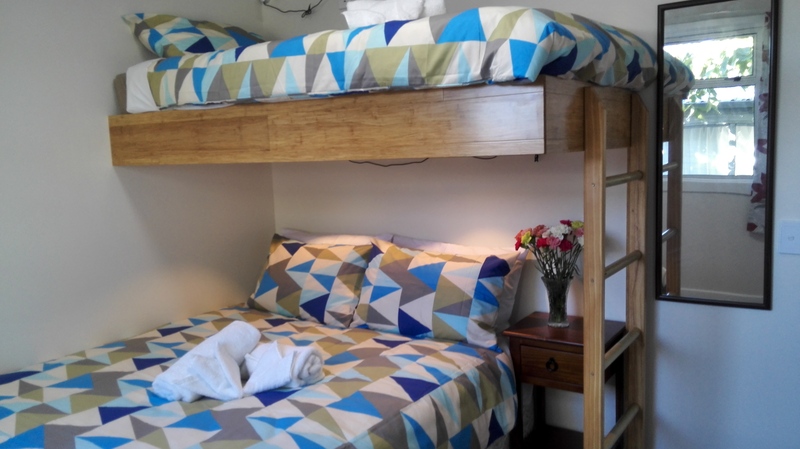 We have two twin rooms, or shared rooms with one double bunk comprised of two single beds – and a sturdy ladder to access the upper bunk. 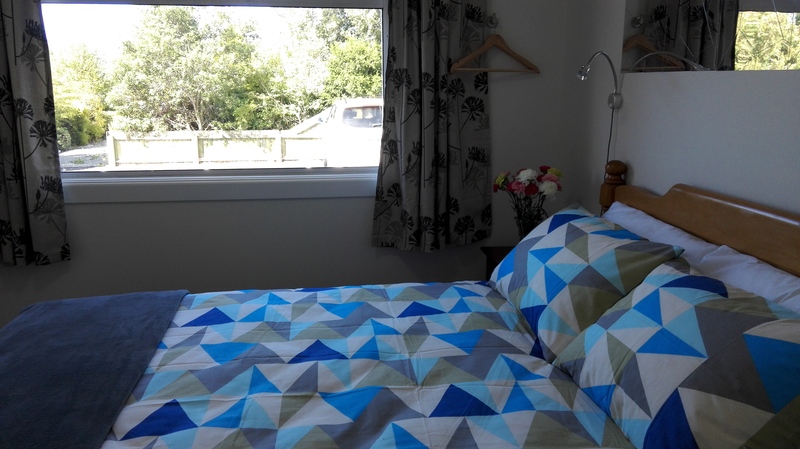 We have one double room with a comfortable Queen-size bed. We have one double room with an en-suite toiled and shower for couples who prefer not to use the shared bathroom facilities. Our family room has a queen-size bed plus a single bunk bed above it to cater for families. 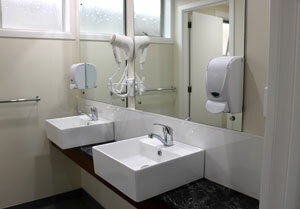 We offer shared bathrooms and accessable facilities for guests, with showers, toilets, and coin-operated laundry.